James B. Finley-circuit rider, missionary, prison reformer, church official-transformed the Ohio River Valley in the nineteenth century. As a boy he witnessed frontier raids, and as a youth he was known as the "New Market devil." In adulthood, he traveled the Ohio forests, converting thousands through his thunderous preaching-and he was not above bringing hecklers under control with his fists. Finley criticized the federal government's Indian policy and his racist contemporaries, contributed to the temperance and prison reform movements, and played a key role in the 1944 division of the Methodist Episcopal church over the slavery issue. 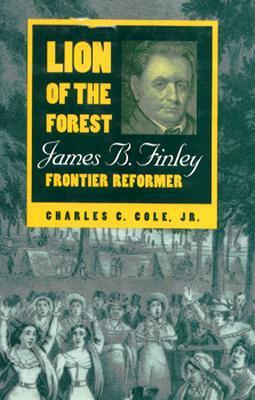 Cole traces Finley's influence on the moral and religious development of the Ohio River area. Charles C. Cole, Jr., has serced as dean and professor of history at Lafayette College, president of Wilson College and, most recently, executive director of the Ohio Humanities Council. Author: Charles C. Cole, Jr.